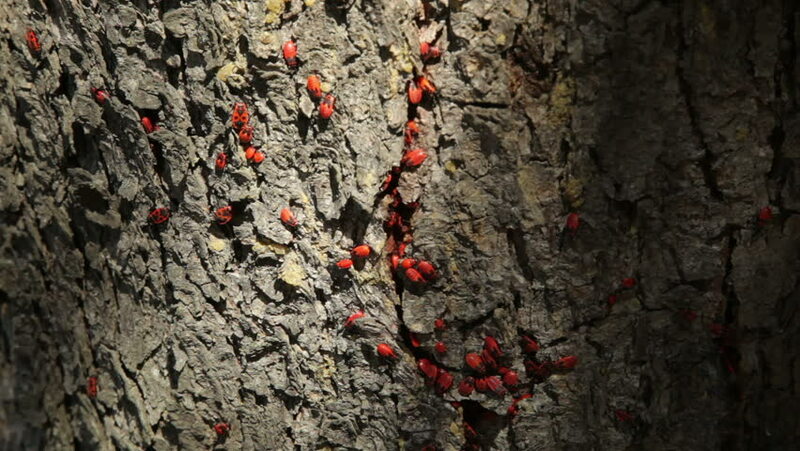 Colony of firebugs (Pyrrhocoris apterus) on a tree trunk. The firebug, Pyrrhocoris apterus, is a common insect of the family Pyrrhocoridae. hd00:11Colony of firebugs (Pyrrhocoris apterus) on a tree trunk. The firebug, Pyrrhocoris apterus, is a common insect of the family Pyrrhocoridae. hd00:23Colony of firebugs (Pyrrhocoris apterus) on a tree trunk. The firebug, Pyrrhocoris apterus, is a common insect of the family Pyrrhocoridae. 4k00:20Wild red ants swarming, speed motion, 4k, UHD.Teamwork concept.Green locust devoured by ants.